European satin etch glass wall bracket. Uses 1 GLS 60w max BC lamp. 150mm with 300mm projection. 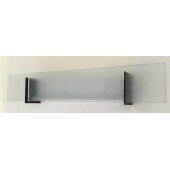 ..
European satin etch glass wall bracket. Uses 2 GLS 60w max BC lamp. 380mm wide with 280mm projection..
European satin etch glass wall wash. 250mm (Projection 125mm). 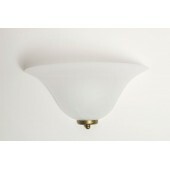 Uses J78 halogen 100w max lamp - incl..
European satin etch glass wall wash. 350mm (Projection 165mm). 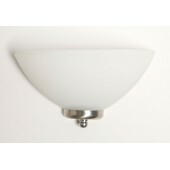 Uses J78 halogen 100w max lamp - incl..
European satin etch glass wall wash. 230mm (Projection 100mm). 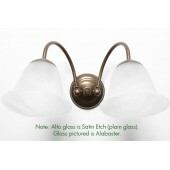 Uses J78 halogen 100w max lamp - incl..
European satin etch glass wall wash. 300mm (Projection 150mm). 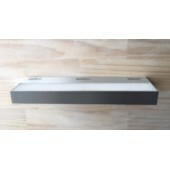 Uses J78 halogen 100w max lamp - incl..
European satin etch glass wall wash. 300mm wide with 145mm projection. 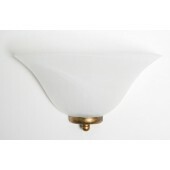 Uses J78 100w max halogen lam..
European alabaster glass wall wash. 250mm (Projection 125mm). 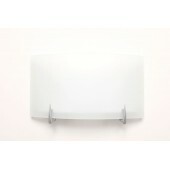 Uses J78 halogen 100w max lamp - inclu..
European alabaster glass wall wash. 350mm (Projection 165mm). 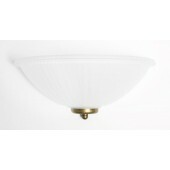 Uses J78 halogen 100w max lamp - inclu.. 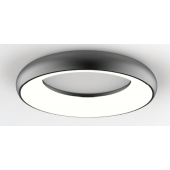 Exciting new LED Ceiling Series design composing style and function, Aluminium body with acrylic dif..
Opal white acid etch glass wall light with single trim. 300mm wide x 150mm high with 95mm projection..
105mm wide with 300mm projection. Uses 1 GLS 60w max BC lamp. Glass is alabaster (Athena). ..
105mm wide with 300mm projection. Uses 1 GLS 60w max BC lamp. Glass is satin etch glass (Bello). ..
380mm wide with 280mm projection. Uses 2 GLS 60w max BC lamps. Glass is alabaster (Athena). ..
380mm wide with 280mm projection. Uses 2 GLS 60w max BC lamps. Glass is satin etch glass (Bello). .. 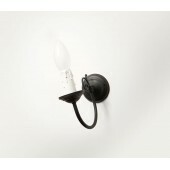 LED Vanity Light, acid etch glass, 10 watt LED 3000k warm white, Matt Black Clips. 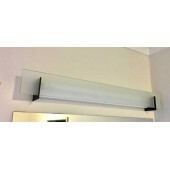 700mm wide x 90mm..
Energy efficient acid etch glass fluorescent vanity with mirrored ends. 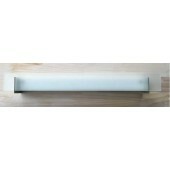 700mm wide x 95mm high with ..
Energy efficient wall light with acid etch glass. 150mm wide x 300mm high with 60mm projection. 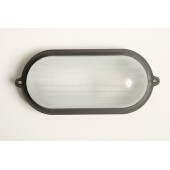 18w ..
Energy efficient wall light with acid etch glass. 150mm wide x 300mm high with 60mm projection. 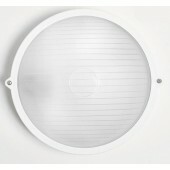 26w ..
Energy efficient LED wall light with acid etch glass. Brushed Chrome domes. 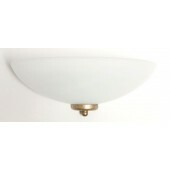 150mm wide x 300mm high ..
European ceiling mounted light with white base and opal glass shade. 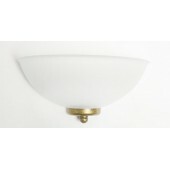 Diameter 165mm with 150mm..
European wall mounted angle light with white base with opal glass shade. 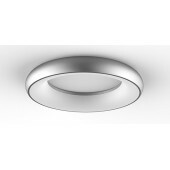 Diameter 165mm with 1..
A hybrid of edge lit and back lit technology gives an excellent blend of space and accent lighting. ..
European wall wash 250mm wide x 130mm high x 120mm projection. 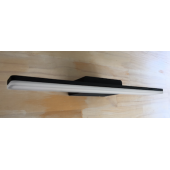 Uses J78 halogen 100w max lamp - incl.. 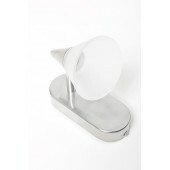 Brushed chrome light. 400mm wide x 70mm drop with 95mm projection. Crystal shades. 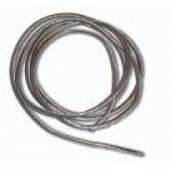 Adjustable knuckl..
Livewire cable 6mm plastic coated cut per metre lengths or 100m rolls. 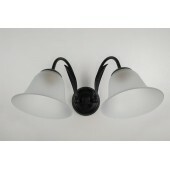 ..
Livewire fully adjustable multi-directional. 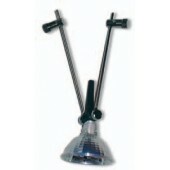 ..
Livewire single arc lampholder - adjustable stem ..
Livewire lampholder - adjustable 400mm legs multi-directional. 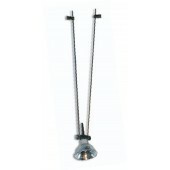 ..
Livewire lampholder - adjustable 120mm legs multi-directional. 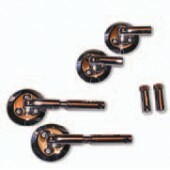 ..
Livewire suspension kit • 2 x dead ends • 2 x turn buckles • 2 x power connectors - chrome ..
One light wall candelabra. 105mm wide with 230mm projection. 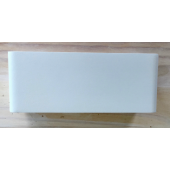 Uses 1 x 60w max BC lamp metal cover. 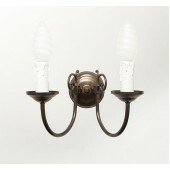 L..
Two light wall candelabra. 260mm wide with 215mm projection. 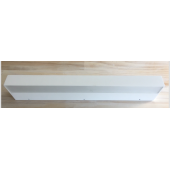 Uses 2 x 60w max BC lamps metal cover. 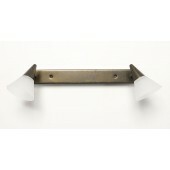 ..
One light wall bracket with slim leaf detail. 150mm wide with 300mm projection. 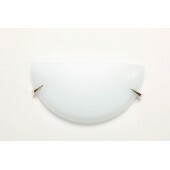 Glass is alabaster (..
One light wall bracket with slim leaf detail. 150mm wide with 300mm projection. 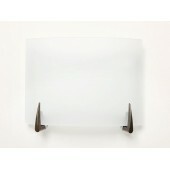 Glass is satin etch ..
Two light wall bracket with slim leaf detail. 380mm wide with 280mm projection. 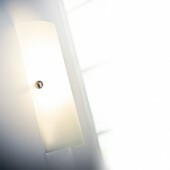 Glass is satin etch ..
Two light wall bracket with slim leaf detail. 380mm wide with 280mm projection. 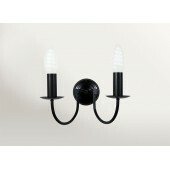 Glass is alabaster (..
One light wall candelabra. 105mm wide with 220mm projection. 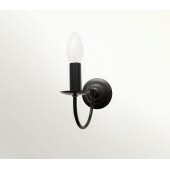 Uses 1 x 60w max BC lamp with candle ef..
Two light wall candelabra. 265mm wide with 210mm projection. 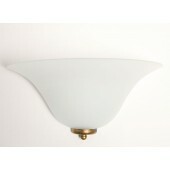 Uses 2 x 60w max BC lamps with candle e..
European opal white or satin etch glass wall light. 200mm wide x 90mm high with 100mm projection. 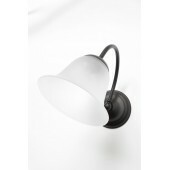 Us..
European round outdoor lamp in black. 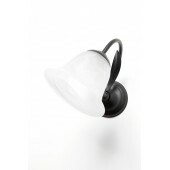 Diameter 220mm (not including screws) with 105mm projection (w..
European round outdoor lamp in black with cover. 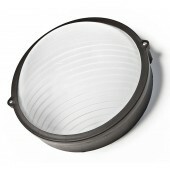 Diameter 220mm (not including screws) with 105mm pr..
European round outdoor lamp in White with cover. 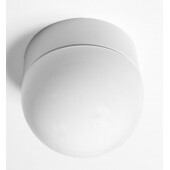 Diameter 220mm (not including screws) with 105mm pr..
European round outdoor lamp in White. 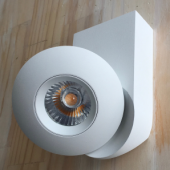 Diameter 220mm (not including screws) with 105mm projection (w..
European energy efficient outdoor bulkhead in silver with cover. 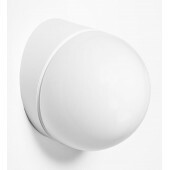 Made from polypropylene with stainl..
European energy efficient outdoor bulkhead in white with cover. 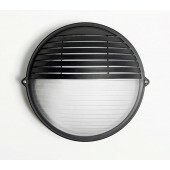 Made from polypropylene with stainle..
European outdoor bulkhead in black with cover. 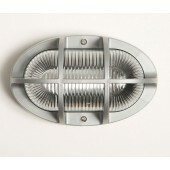 Made from polypropylene with stainless steel fastener..
European outdoor bulkhead in silver with cover. 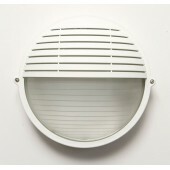 Made from polypropylene with stainless steel fastene..
European outdoor bulkhead in White with cover. 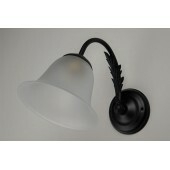 Made from polypropylene with stainless steel fastener..
European energy efficient outdoor bulkhead in black. 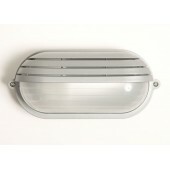 Made from polypropylene with stainless steel fa..
European energy efficient outdoor bulkhead in silver. 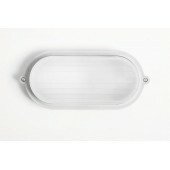 Made from polypropylene with stainless steel f..
European energy efficient outdoor bulkhead in White. 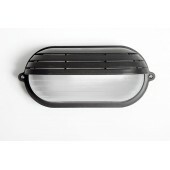 Made from polypropylene with stainless steel fa..
European outdoor bulkhead in black. 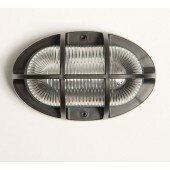 Made from polypropylene with stainless steel fasteners and a str..
European outdoor bulkhead in silver. 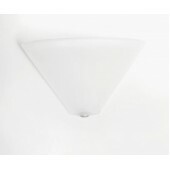 Made from polypropylene with stainless steel fasteners and a st..
European outdoor bulkhead in White. 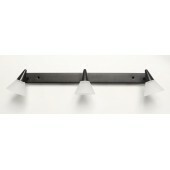 Made from polypropylene with stainless steel fasteners and a str..
High Quality Spot from Forma Lighting. IP65. 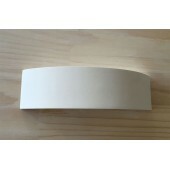 Surface mounted exterior (ood light. 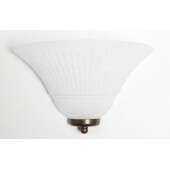 Versatile aiming a..
European satin etch glass wall light. 220mm wide x 130mm high with 110mm projection. 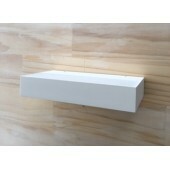 Uses 100w max J..
European alabaster glass wall wash. 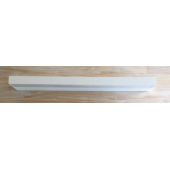 Available in 300mm wide with 150mm projection. 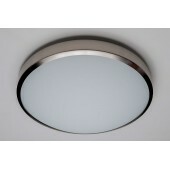 Uses J78 halogen ..
European satin etch glass LED energy saver wall wash. 300mm wide. 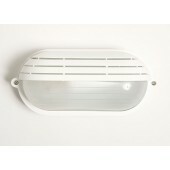 Uses 1 x 8.7w LED European module ..
European double insulated outdoor light in white, silver or black. 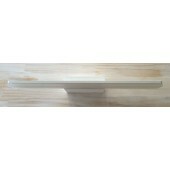 Width 200mm, height 125mm w..
One light wall bracket in European alabaster or satin etch glass. 150mm wide with 330mm projection. 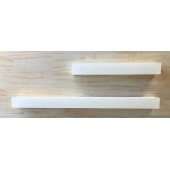 ..
Two light wall bracket in European alabaster or satin etch glass. 380mm wide with 280mm projection. .. 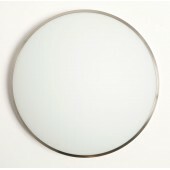 Round opal white etch glass energy saver. 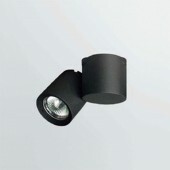 Medium: (1 lamp) 300mm diameter x 90mm projection. 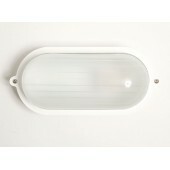 Uses 26..
Opal white etch glass vanity. 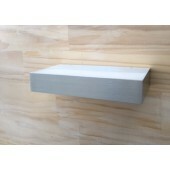 Available in 350mm wide x 90mm high with 80mm projection. 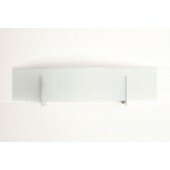 Uses 1 x 26w..
Opal white etch glass vanity. 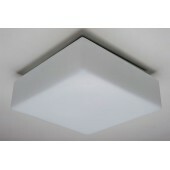 Available in 350mm wide x 90mm high with 80mm projection. Uses 150w ma.. 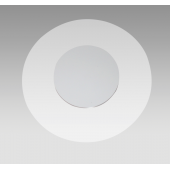 Round opal white etch glass energy saver. Large: (2 lamps) 380mm diameter x 100mm projection. 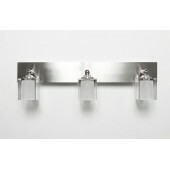 Uses 2..
Energy efficient LED vanity light with acid etch glass. Matt Black side clips. 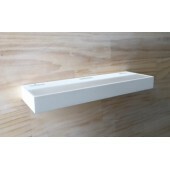 450mm wide x 90mm hig..
For the Wall anywhere you need light. 200mm wide x 150mm rectangle with 55mm projection,150w max J78..
300mm wide x 180mm high with 85mm projection. 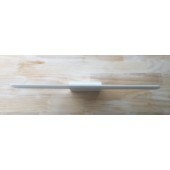 Uses 18w 2 pin fluorescent - lamp not included. ..
For the Wall anywhere you need light. 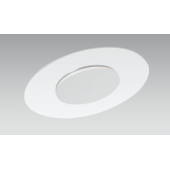 300mm wide x 150mm high half circle with 95mm projection,150w ..
For the Wall anywhere you need light. 300mm wide x 180mm rectangle with 85mm projection,150w max J11..
350mm wide x 90mm high with 80mm projection. Uses 18w 2 pin fluorescent - lamp not included. ..
350mm wide x 90mm high with 80mm projection. Uses 150w max J118 halogen lamp - included. ..
350mm wide x 90mm high with 80mm projection. 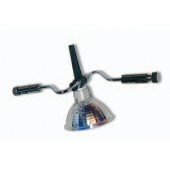 Uses 1 x 8.7w LED European module ..
Adjustable spotlight with glass shade. Uses 12v 50w MR16 halogen lamp. 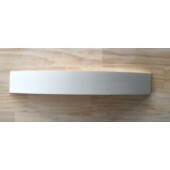 Oval base 55mm x 135mm. 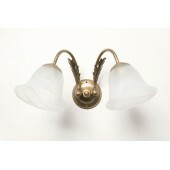 ..
Adjustable spotlight with glass shade. Uses 12v 50w MR16 halogen lamp. 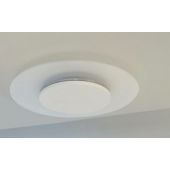 Round base 90mm. 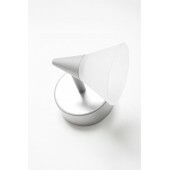 ..
Adjustable spotlight with glass shade. Uses 12v 50w MR16 halogen lamp. 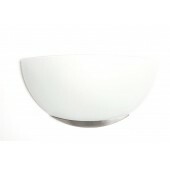 Oval base 55mm x 135mm. 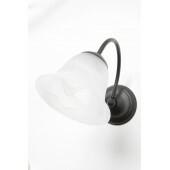 With ..
Adjustable Triple spotlight with glass shade. 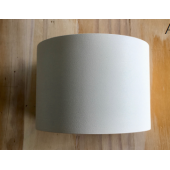 45mm x 355mm base. 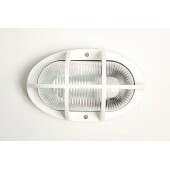 Uses 12v 50w MR16 halogen lamp. 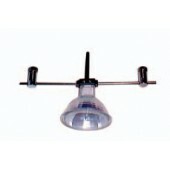 ..
Adjustable Twin spotlight with glass shade. 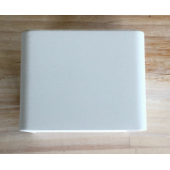 45mm x 355mm base. Also available with rocker switch. 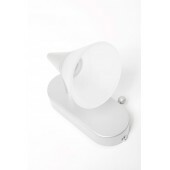 Us..
9 watt LED Spot light, CNC machined Aluminium, Powdercoated Matt White, 110mm wide x 180mm high x 70.. 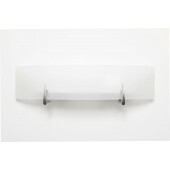 Slim and Square lines, LED wall mount Vanity light. 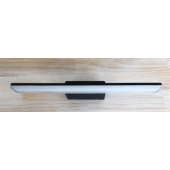 Made from CNC Machined Aluminium with Acrylic Di..
6 watt LED Wall Up/Down light, adjustable angle LED - narrow to wide beam angle, Curved Front, Alumi..
17.5 watt LED Vanity light, made from solid Aluminium, 470mm wide x 40mm high x 115mm projection, 30..
17.5 watt LED Vanity light, powdercoated BLACK, made from solid Aluminium, 470mm wide x 40mm high x ..
25 watt LED Vanity light, made from solid Aluminium, powdercoated Matt White, 750mm wide x 40mm high..
25 watt LED Vanity light, powdercoated BLACK, made from solid Aluminium, 750mm wide x 40mm high x 11..
20 watt LED Vanity / Wall Up/Down light, Dimmable, machined out of solid Aluminium, powdercoated Mat..
28 watt LED Vanity / Wall Up/Down light, Dimmable, machined out of solid Aluminium, powdercoated Mat..
42 watt LED Vanity / Wall Up/Down light, Dimmable, machined out of solid Aluminium, powdercoated Mat..
8 watt LED Wall Up/Down light, Aluminium, Powdercoated Matt White, 200mm wide x 80mm high x 100mm pr..
3 watt LED Wall Up/Down light, Small, Aluminium, Powdercoated Matt White, 100mm wide x 80mm high x 1..
14 watt LED Wall Up/Down light, Curved Front, machined out of solid Aluminium, Powdercoated Matt Whi..
7 watt LED Wall Up/Down light, Curved Front, machined out of solid Aluminium, Powdercoated Matt Whit..
9 watt LED Wall Up/Down light, Dim to Warm 3000k down to 2000k as it dims, Aluminium, Powdercoated M..
Hand Blown. 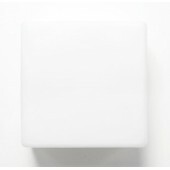 Square European made laminated opal white glass light. 280mm x 280mm. Uses 2 x GLS..
Hand Blown. 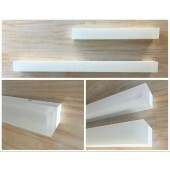 Square European made laminated opal white glass light. 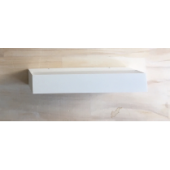 210mm x 210mm. 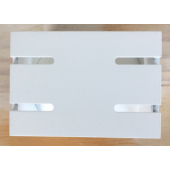 Uses 1 x GLS..
16 watt LED Wall Uplight, Dimmable, machined out of solid Brushed Aluminium, 180mm wide x 32mm high ..
16 watt LED Wall Uplight, Dimmable, machined out of solid Aluminium, powdercoated Matt White, 180mm ..
32 watt LED Wall Uplight, Dimmable, machined out of solid Brushed Aluminium, 320mm wide x 32mm high ..
32 watt LED Wall Uplight, Dimmable, machined out of solid Aluminium, powdercoated Matt White, 320mm ..